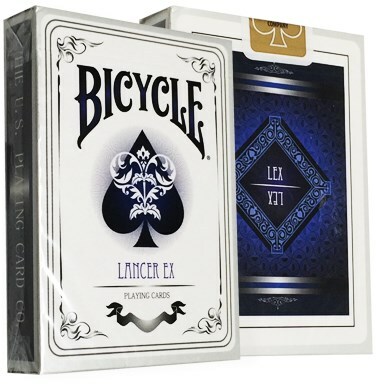 The Bicycle Lancer Ex Deck was produced for a group called "Cardsdancing", which is located in China. This deck was original only for members, but we were able to secure some for our customers. The deck features a custom designed back, court cards, 3 jokers and pips. The deck is printed on traditional Bicycle stock and is Air-Cushion Finished. The deck also has an ad card and production was limited to 2,500 decks worldwide and it will not be reprinted.